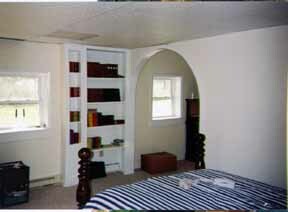 Hide utility lines behind a bookcase, add an archway, use light colors, and the tenants won't complain ( too much ) about the rent. 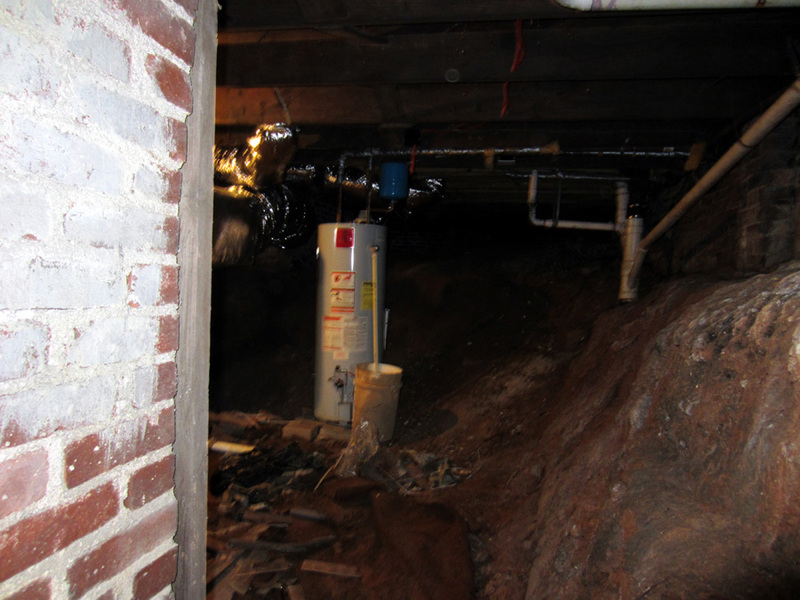 In an older home, the crawl space is sometimes dug out to create a utility area for a furnace or water heater. It is not pretty. Bare earth breathes moisture and conditions are great for mold and fungus growth. 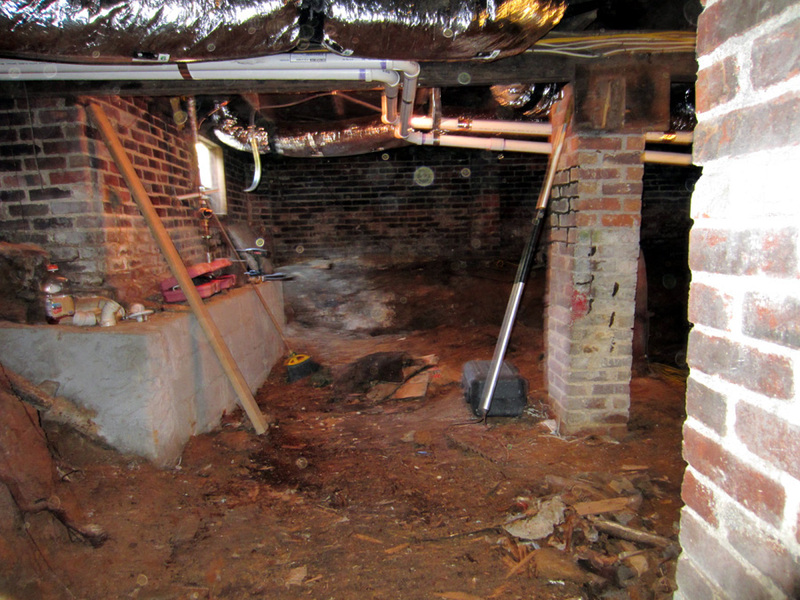 Creating a healthy crawlspace is easy. 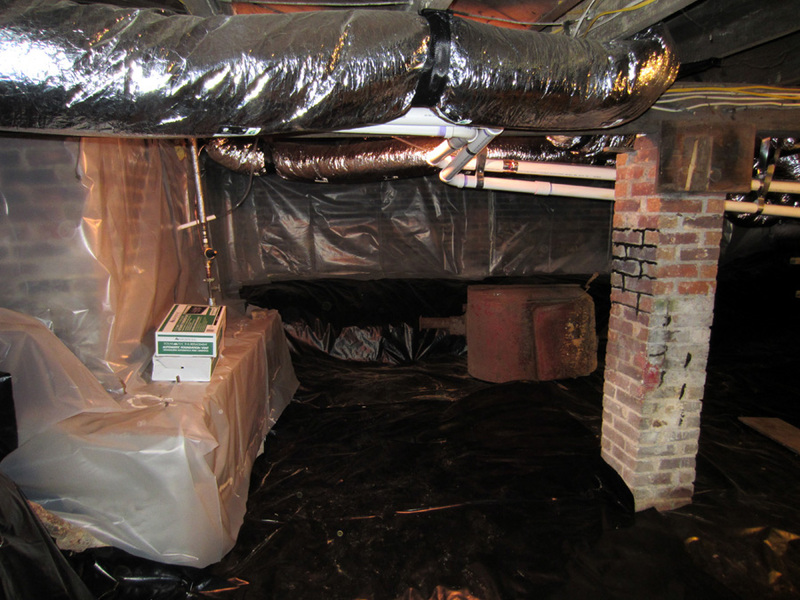 Cover bare earth and exposed foundations with heavy plastic vapor barrier. Moisture is kept out of the air and potentially sick-making mold and fungus cannot thrive. 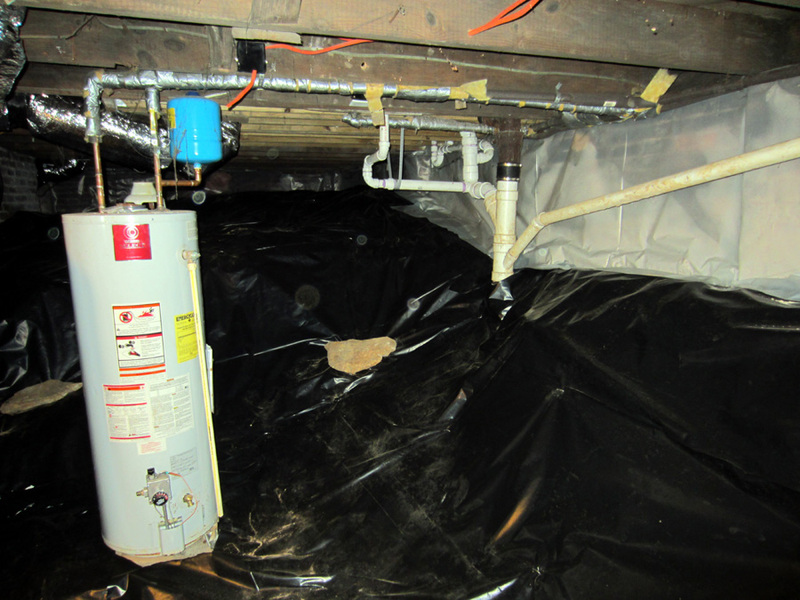 Some ventillation of the crawlspace is still necessary, but with 100% coverage less is needed and the space can be kept warmer. Ideally, the floor joists overhead should be insulated and sealed to completely isolate the crawlspace from the living space. This customer opted for the minimum treatment.